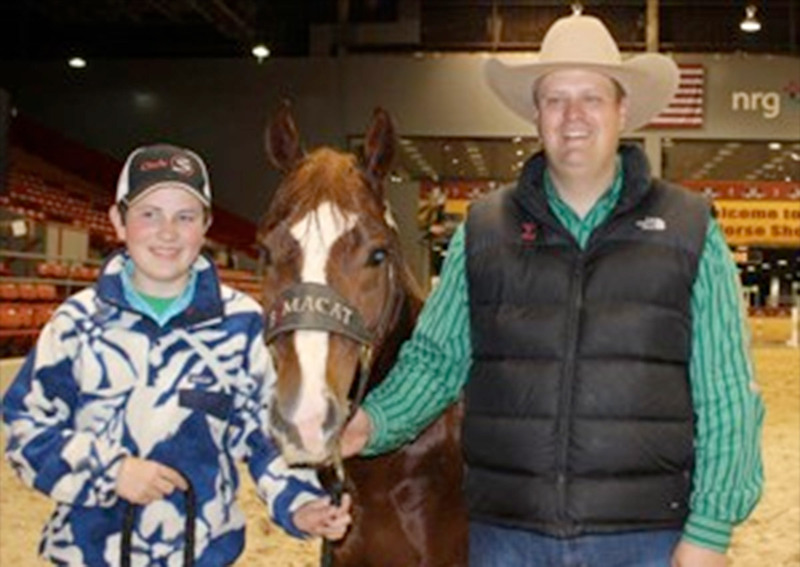 Bamacat stole the show when he won the Open finals during the second leg of the Mercuria/National Cutting Horse Association (NCHA) World Series of Cutting, which was held Feb. 27-28 during the Houston Livestock Show and Rodeo in Houston, Texas. Bamacat (High Brow Cat x MH San Tules Dually x San Tule Freckles) and Austin Shepard set the bar high with a 223 as the first team to work in the finals on Feb. 28. Next to work were One Time Shorty (One Time Pepto x Escada Cat x Shorty Lena) and John Kirby, who fell just a point shy of unseating the leaders with a score of 222. After all the horses (except for Eddie Flynn’s two finalists that had to be scratched after Flynn had a medical emergency) worked in the 13-horse finals, the first and second horses to work kept their places as Champion and Reserve. Owned by the Bamacat Syndicate, of Summerdale, Alabama, Bamacat picked up $5,192 for the win, and One Time Shorty, who is owned by Brenda Berry, of Waller, Texas, earned $4,716 for second place. Kirby also placed third with James Strange’s WR This Cats A Lena. Bamacat is a 2009 sorrel stallion, known as “Julio” at the barn, who has NCHA earnings of $237,893. He was bred by Shepard and his wife, Stacy, who live in Summerdale, Alabama. Shepard and Julio entered the finals with the highest score from the preliminary round – a 224. The Mercuria Open at the Houston Livestock Show and Rodeo attracted 43 entries who were competing for a total purse of $37,857.